A certain amount of repointing will usually be necessary when dealing with rain penetration problems in masonry walls. This is because small cracks in the mortar course and cracks in the interface between the mortar and brick/stone can acts as pathways through which rain can penetrate. In many cases, only localised sections of mortar will require repointing. However, where the mortar is in particularly poor condition it may be necessary to repoint the whole wall. 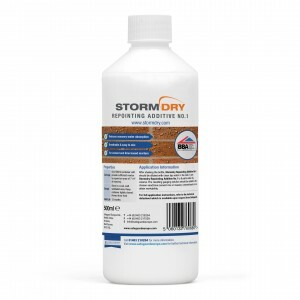 Stormdry Repointing Additive No. 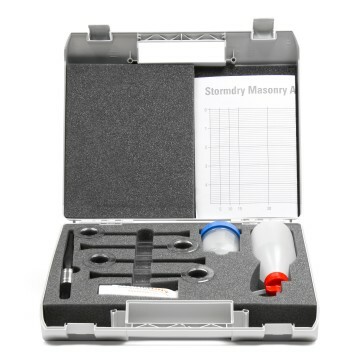 1 - This contains a blend of silanes and siloxanes (similar to those found in Stormdry Masonry Protection Cream). These block water ingress whilst still allowing the mortar to breathe. 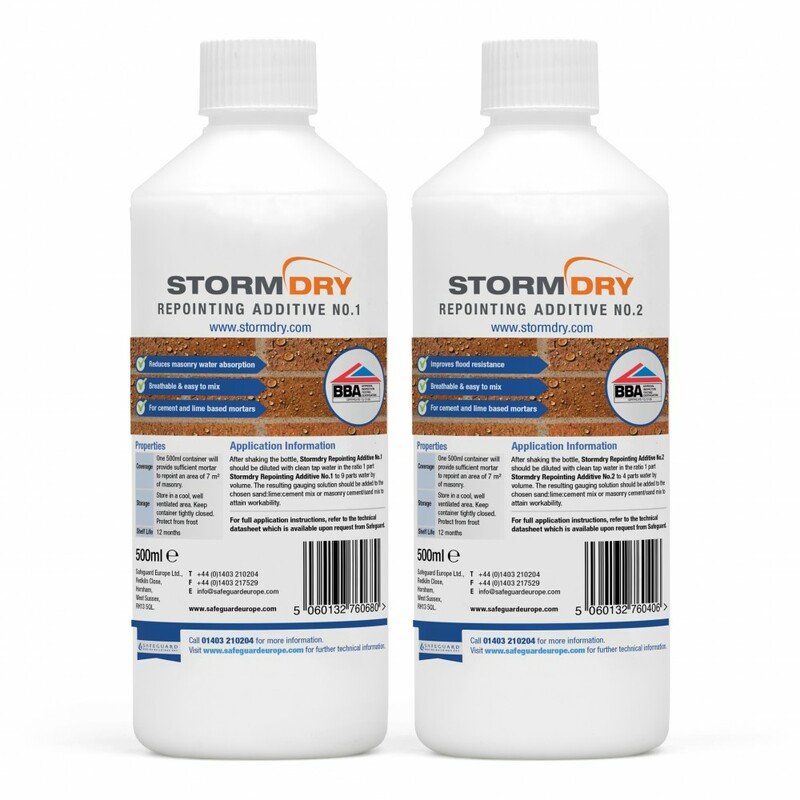 Stormdry Repointing Additive No. 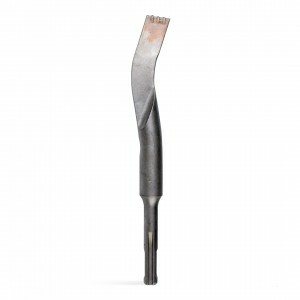 2 - This repointing additive is polymer modified giving allowing it to impart excellent waterproofing characteristics to repointing mortars and enhanced bonding characteristics between the brick/stone and the mortar. 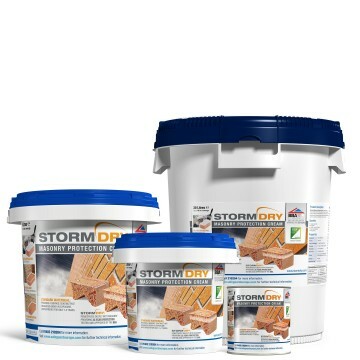 Unlike Stormdry Repointing Additive No. 1 this additive does not allow the mortar to breathe.